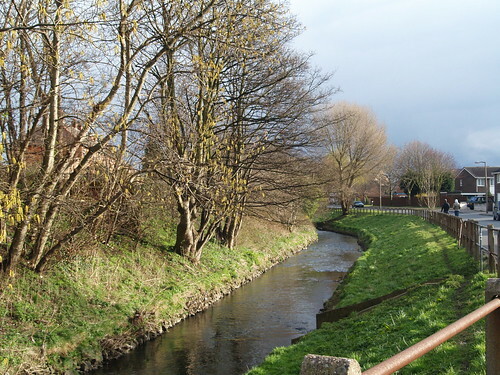 My ward is called Leen Valley, named after the River Leen that flows through Nottingham. 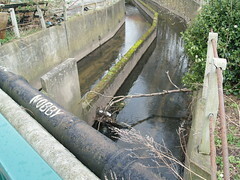 Much of its length is in culverts, piped under roads and industrial areas or in giant concrete channels visible from the Derby Road and the QMC campus. 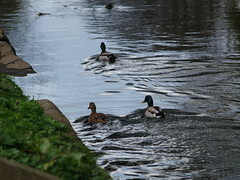 But bits of it have lovely riverbanks with trees and ducks and swans. There is definitely a planning presumption along the river to improve it both in terms of open public space for people and better habitat for wildlife. 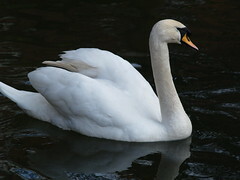 This swan didn’t relax its wings whilst I was there and I wondered if it was protecting a nest or getting ready to brake my arm or something. It certainly followed me a around for a bit.